Since the organization began operating in Tanzania in 1994 and prior to that in Pemba since 1986, the organization has grown tremendously and now operates throughout the country. With it’s head office in Dar es Salaam, with regional offices in Lindi, Shinyanga and Zanzibar. To inspire breakthroughs in the way we, and the world treats children, and to achieve immediate and lasting change in their lives through effective communication, networking and information sharing within Save the Children in Tanzania and also among partners, child rights stakeholders, and public at large. 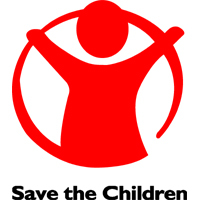 Save the Children aims to be a place where world class people of diverse backgrounds work together to support to improve the lives of children. We also need to keep children safe so our selection process reflects our commitment to the protection of children from abuse.